An organization that U.S. President Barack Obama had said was the “junior varsity” and later had been “contained” managed to carry out mass casualty attacks that killed hundreds throughout the Muslim world during the holy month of Ramadan. Islamic State of Iraq and Levant (ISIL) has claimed responsibility for, or is suspected in, recent attacks in Turkey, Iraq, Bangladesh, Yemen, Saudi Arabia, Indonesia and Malaysia that have killed hundreds and wounded many hundreds more. 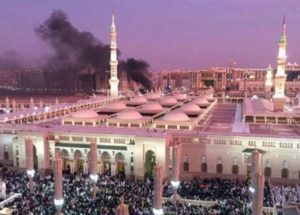 On July 4, a suspected ISIL suicide bomber blew himself up outside the mosque where the Prophet Muhammad is buried in Medina, Saudi Arabia. Five Saudi troops were killed in the attack and five others wounded. Three similar attacks, believed by officials to have been coordinated, were launched in Saudi Arabia on July 4. Meanwhile, the death toll from a massive bombing in a bustling shopping district in Baghdad continues to rise, possibly to over 200, making it one of Iraq’s deadliest terror attacks ever. ISIL jihadists launched a triple suicide bombing and shooting spree last week at Turkey’s main airport that left more than 40 people dead, and an ISIL attack on a cafe in Bangladesh over the weekend left 20 people dead. A June 28 grenade attack at a bar outside Kuala Lumpur was the first in Malaysia directed by ISIL, according to local police. Eight people watching a live screening of the Euro 2016 football tournament at the Movida bar and restaurant were injured in the attack. Police said two men arrested in connection with the attack received instructions from a Malaysian, Muhammad Wanndy Mohamed Jedi, known to have joined ISIL in Syria. The two suspects were instructed by the ISIL fighter “to carry out attacks in Malaysia, on our government leaders, top police officials and judges,” police said, according to Reuters. Indonesian police said a jihadist who died in a suicide bombing on July 5 outside police headquarters in the city of Solo was linked to ISIL. One policeman sustained minor injuries in the attack by 30-year-old Nur Rohman who tried to enter the police complex on his motorcycle. National police chief Gen. Badrodin Haiti said Rohman evaded arrest in a police counter-terrorism operation in late 2015 and belonged to a militant group whose members included Bahrun Naim, an Indonesian in Syria who police say coordinated the Jan. 14 attack in the Indonesian capital Jakarta that killed eight people including four jihadists.